Mumbai, Feb 26: Bollywood Talented Actress Kangana Ranaut's fight with director Krish Jagarlamudi is hidden from no one. The director was upset with Kangana's claims that she has directed 70% of Manikarnika. Kangana too accused Krish of abandoning Manikarnika for directing NTR's biopic. Now, that the biopic has been released and it has failed to impress the audience, Kangana again has given a statement, taking a dig at Krish's failure. From this aspect, Talking to an entertainment website, Kangana said, "Yes, I also read about zero recovery of NTR, it's called black mark on the actor's career. My heart goes out to Balakrishna sir who trusted Krish and put so much at stake, but for me now is the time to question every vulture who was out for my blood, who attacked and harassed me for taking charge of a troubled situation and making a critically acclaimed and commercially successful film (Manikarnika), but what is shameful is that Krish and some paid media ran a sabotage campaign against a martyr's biopic. Honestly, I am embarrassed of them, our freedom fighters gave blood for some thankless fools." 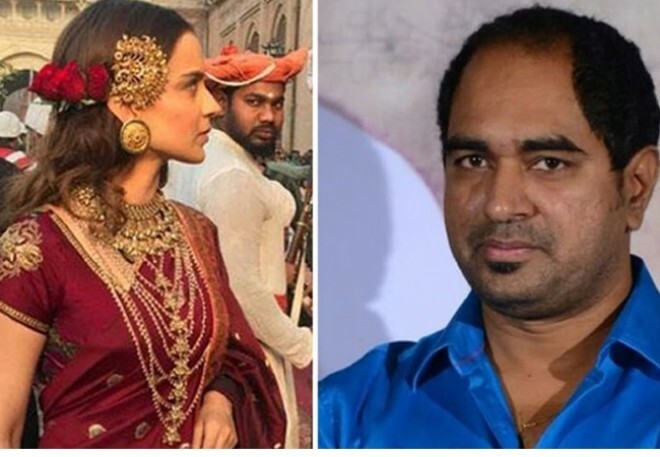 Earlier, in an interview with a news agency, Krish had said that he is doubtful if anyone would work with Kangana after the Manikarnika row. He said, "I am curious to know who will work with Kangana after the kind of reputation she has acquired for undermining the director and taking over a project." On the work front, Kangana will now be seen in Mental Hai Kya with Rajkummar Rao. The film is slated to hit the theatres on March 29.